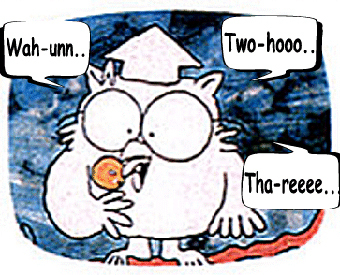 Today I found out how many licks it takes to get to the center of a tootsie roll tootsie pop. Engineering students from Purdue University created a licking machine that mimicked the human tongue and the licking motion. They then tested this machine against real tootsie pops with the results being an average of 364 licks to get to the center of the tootsie pop licking from only one side constantly. These same students from Purdue also tested this against their own tongues and found that it took an average of 252 licks to get to the center, again only licking from one side, but this time with real tongues. For a little more off the wall results, students at the University of Cambridge concluded that it takes 3481 licks to reach the center. One can only deduce from their results that the University of Cambridge has the most timid lickers in the world. According to Tootsie Roll Industries, over 20,000 letters from children around the world have been mailed to them concerning this issue since 1970 with the average child reporting that it took them about 600 licks to reach the center. No doubt the higher number of licks is accounted for by their smaller tongues and the fact that they weren’t necessarily concentrating on one side only. This latter theory is also backed up by independent researchers who found by licking one side, then rotating to the other side and licking again and continuing to do this until you reach the center, that it takes an average of 508 licks to reach the center using the “even licking” method. Both the latter result of an average of 508 licks when licking both sides evenly and the Purdue student’s results of an average of 252 licks when concentrating on one side are remarkably consistent, so it would seem for an adult it takes around 250-ish licks to get to the center of a tootsie roll tootsie pop if only licking from one side and about twice that when licking both sides evenly. As alluded to previously, before Tootsie Roll Industries was known as such, they were named the The Sweets Company of America. They changed their name from that to Tootsie Roll Industries in 1966. Contrary to popular belief, Tootsie Roll Industries has never accepted the wrappers of a tootsie pop in exchange for a prize. The common rumor was that if it contained a Native American boy shooting a star, you’d get a free tootsie pop. If it contained three unbroken circles, you’d likewise be given free candy. According to Tootsie Roll Industries, they have never run any such promotion and the Native American boy alone appears on about 1/3 of the wrappers. It’s unknown where that rumor got started; interestingly though, the rumor was perpetuated by a few store owners who would accept the wrappers in exchange for prizes such as a tootsie pop or a tootsie roll. Tootsie rolls were the first “penny” candy to be individually wrapped. Tootsie Roll Industries is today one of the largest candy manufacturers in the world, not just selling Tootsie Rolls and Tootsie Pops, but also Charm’s Blow Pops; Mason Dots; Charleston Chew; Dubble Bubble; Razzles; Caramel Apple Pop; Junior Mints; and Cella’s Chocolate-Covered Cherries, among others. Tootsie rolls are made of sugar, corn syrup, condensed milk, artificial cocoa flavoring whey, soy lecithin, orange extract, partially hydrogenated soybean oil, and other artificial flavors. Tootsie Roll Pop: How Many Licks? It took me 1,473 licks. Lol. My sister designed a lab for her 8th grade science class where they measured the amount removed per lick by first weighing a new Tootsie-Roll Pop, licking it a certain number of times, letting it dry, and re-weighing it. Then they removed all of the remaining candy and weighed the center. They used their experimental data to calculate how many licks it would take to remove all of the candy coating. I always thought this was a very clever lab. She said the kids always enjoyed it. how much did it weigh after one lick?